DRB HELPS WASTE-TO-ENERGY GIANT REDUCE UNPLANNED DOWN TIME WITH OEM MODIFICATIONS. The customer uses the grabs to mix the waste and feed it into the Boilers. The nature of this process puts a lot of stress onto the grab arms, leading to premature wear and failure. Therefore any unplanned downtime has an effect on production. DRB modified the OEM grab arm, creating a new design that maintained their functionality, strength, and durability even after reducing their profile and weight. 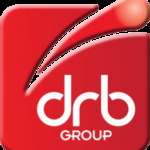 DRB’s technical intelligence and practical experience reduced the customer’s risk by providing a solution that increased reliability and minimised potential downtime, which could equate to tens of thousands of pounds in lost energy recovery.